Weishnoria – this is how the organisers of the Russian-Belarussian military exercise Zapad called the territory on the Lithuanian border, the territory of which is just a little larger than Estonia. Based on the scenario this supposed country is an aggressor. Perhaps the Kremlin and Minsk did not expect that their made up state will cause a wave of mockery, but the jokes are spreading ever further online. That said, not everyone finds this surreal situation amusing. Weishnoria is a country whose capital is Grodno, the country's land area is 46 thousand square kilometres, with a population of almost one and a half million inhabitants. They speak Belarussian, Russian, Polish, Lithuanian and Hebrew. This is only a part of the information from its official Wikipedia page. A state manufactured for manipulation? After the Russian and Belarussian organisers of Zapad 2017 presented the exercise scenario for 14-20 September, many observed some unexpected details which were shared by officers from both parties. "The hostile forces are deployed at the Belarussian border. On one hand there are the "Northerners", who belong to the allied Belarussian and Russian state, while on the other hand the "Westerners" are a coalition of interested states (Weishnoria, Besbaria and Lubenia). The main reason for the conflict is the pursuit of destabilisation in the republic's territory and achieving deterioration in the allied countries' relations," Belarussian vice Minister of Defence Oleg Belokonev described the exercise legend. Accompanying him, Russian vice Minister of Defence Aleksandr Fomin stressed that "the exercise participants will face an imaginary foe, which has no connection to any real region." Nevertheless while the hostile nations of Weishnoria, Lubenia and Besbaria are imagined, it is not difficult to look at the maps presented by the Russian and Belarussian officers and see similarities with real geographic circumstances. 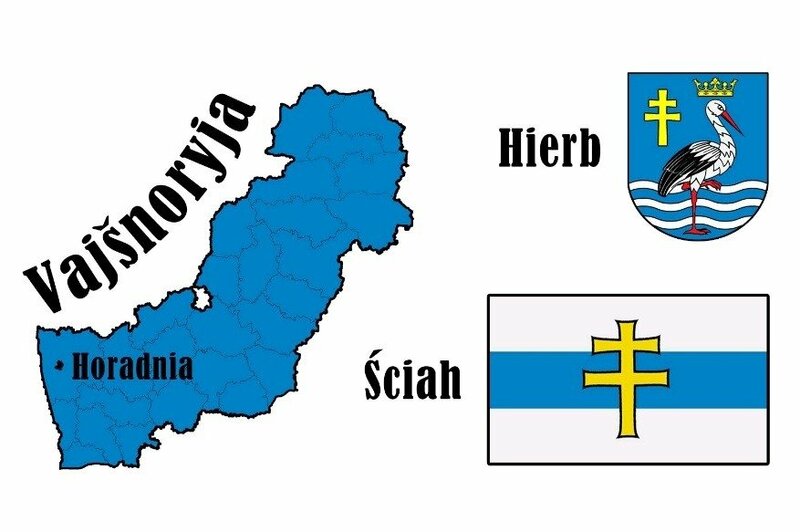 That the territory of Belarus borders the imaginary Weishnoria, who not only also borders Besbaria, but even matches the Lithuanian-Belarussian border, is unlikely to be accidental. Furthermore, some Belarussians have observed that the Weishnorian – Belarussian border matches certain historical geographic delineations. For example the 1920-1939 Polish-USSR border and also the geographical delimitations of the 1994 electoral results where the popular vote was won not by Aleksandr Lukashenko who has maintained authoritarian rule since then, but his rival – Zianon Pazniak. "He now lives abroad and exactly in April he made the declaration of independent Belarus where it is noted, what needs to be done for the government to change in Belarus, how to organise and such. As such one is left with the feeling that based on the legend the region is being viewed as a source of political manipulation, perhaps even linked with the electoral context," Vilnius University Institute of International Relations and Political Science lecturer Nerijus Maliukevičius, who has studied information warfare for more than a decade, mused. However the Belarussians themselves, mostly critical of the increasingly rising role of the Kremlin in their country, have a different perception of Besbaria, Lubenia and Weishnoria, which appear in the Zapad scenario. Weishnoria received particularly much attention. While the Zapad exercises have not begun, the country has successfully existed online for a few days and you can find out increasing amounts of information about it. 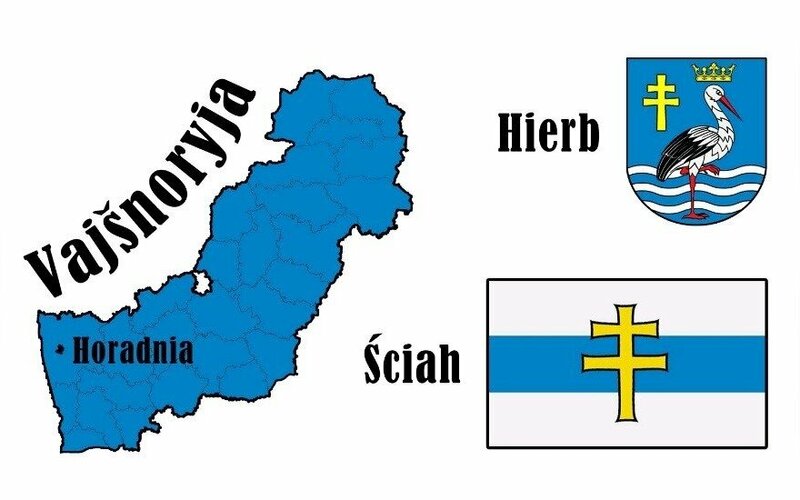 Light hearted internet goers immediately developed the back story of Weishnoria and began creating the state's symbols – created patriotic t-shirts with the words "I love Weishnoria", a coat of arms, a currency, a hymn, a flag and a passport. An entire 2,000 people were seeking to receive one of the latter on Thursday. There is no lack of examples where enthusiasts jokingly found unrecognised states. For example one of the most famous unrecognised pseudo-states in the world is the Principality of Sealand, which is off the coast of the UK. Founded in a World War II era fort, this 550 square meter territory whose population rarely exceeds 5, it declared independence. While not recognised by any United Nations state, this has not prevented it from receiving massive attention from international news media. It would appear that the creators of Weishnoria were exactly seeking attention, at the same time pointing to fairly serious problems in Belarus – authoritarian rule and the role of Russia. What is interesting is that the regions near the Lithuanian border where the state of Weishnoria was "established" are filled of Grand Duchy of Lithuania heritage. The region contains the majority of Belarus' Catholics and the Polish ethnic minority group, while based on the July 1920 agreement between Lithuania and Soviet Russia, the Weishnorian borders almost match the part of contemporary Belarus that would have belonged to Lithuania under the agreement. Similarities with GDL heritage are reflected in the symbols of Weishnoria as well – the white and blue flag also contains a Jagiellonian cross, which is also present in the Weishnorian coat of arms – it also contains a crowned stork. Furthermore, Twitter accounts have been created for the Weishnorian ministries of foreign affairs and defence, both using the Vytis and Columns of Gediminas. These similarities to Lithuanian national coats of arms should not be surprising because the opposition which criticises A. Lukashenko often makes claims on Lithuanian state symbols. Belarussian nationalists have argued in full seriousness that the GDL was a Belarussian state and all the GDL leaders were Belarussian, called Litvins. Supposedly all of GDL history was claimed and Lithuania manufactured by the Samogitians. Indeed the Weishnorian "government" Twitter accounts already have some political statements in them. For example one declaration states that "Weishnoria is a country without Lukashenko, without Russian troops and friendly to Western states." Furthermore, imitations of releases from real foreign ministries have started being released, the "Weishnorian Ministry of Foreign Affairs" diplomatically expressed "concerns over the massing of Belarussian forces on the Weishnorian border." The "Weishnorian Ministry of Foreign Affairs" promised Russian and Belarussian troops who surrender "canned meat, honey, bread and ham," while the Belarussian vice Minister of Defence O. Belokonev was "banned" from entry to Weishnoria. Finally this "state" has received support from not only common internet goers, but also the Twitter profile which parodies the Russian Foreign Ministry's account. "In the name of the Russian Ministry of Foreign Affairs we declare the establishment of diplomatic relations with the Republic of Weishnoria. Welcome, friends!" so announced the Russian Foreign Ministry parody Twitter account which has 258 thousand followers. The Weishnorian account which was created a scant few days ago already has more than a thousand followers and increasing. The jokes about Weishnorian independence and the new country's symbols did not succeed in bringing amusement to everyone however. There was no lack of suspicions that the initiative and attention was encouraged not only by individual enthusiasts pulling a prank, but actually Russian or Belarussian special services. The clearly expressed separatist Weishnorian ideas and criticism toward the Lukashenko regime may become an excuse for Minsk to initiate repressions against the already weakened state opposition, part of which is based abroad. It could also become a gift to A. Lukashenko's regime, which has often spoken about the threat of foreign agent influence and intentions to fan separatist or other anti-establishment moods in Belarus itself. Belarussian historian Aleksandr Pashkevich believes that the idea of Weishnoria can become entrenched in Belarus and last beyond the Zapad exercise for which it was created as an aggressive opponent. Writer Vincent Mudrov believes that the resonance due to the fabricated state is sparking separatist moods of itself. "Weishnorian history has flooded the information sphere. And this is none other than an intentional distribution of separatist moods in the country. After all among the "Weishnorians" there will likely be those who will catch the idea of separating and creating a Western-oriented state," V. Mudrov pointed out. "Weishnoria is a joke. But there is something disgusting and unwholesome in generals so easily declaring a part of their country as a different one. And what stands behind it? A. Lukashenko's hate of the Grodnians? A belief that supposedly we have such Catholics that if they were armed, they will be prepared to go to war with the Orthodox Christians? I don't even know, but regardless of the case I dislike it," Andrei Pochobut, a journalist from Grodno said. Meanwhile famous Belarussian political scientist Pavel Usov also stressed that even while it sounds amusing, Belarussian armed forces would appear to have unknowingly created an information reaction which will allow the formation of a virtual Weishnorian state. "People need to play and the Weishnorian game can be both involving and political. Especially when Weishnoria is a dream of a normal state – political sublimation. That is to say, all the good things currently not present in Belarus," P. Usov stressed. The Western, democratic ideas of statehood constantly declared by at least part of the Belarussian opposition, such as the freedom of speech and free elections in Belarus itself are currently supressed, while in the virtual sphere Weishnoria has embodied these ideas like a utopian state.